Since the announcement in 2005 that London would host the Olympic & Paralympic Games in 2012, our team of specialist guides has followed the whole project closely. We led walking tours around the perimeter of the site pre Games as well as on-site bus tours for the Olympic Delivery Authority from 2009 – 2011. We worked for the London Organising Committee of the Olympic & Paralympic Games, sponsors and other organisations during the Games or were involved as volunteer Games Makers. Since the 2012 we have worked closely with the London Legacy Development Corporation, the organization behind Queen Elizabeth Olympic Park, formed to use the once-in-a-lifetime opportunity to develop a dynamic new heart for east London. We are passionate about the development, flexible and can tailor make a tour to suit your kind of group and any particular interests you may have. Queen Elizabeth Olympic Park Guided Tours can be on foot, by bicycle or a mix of private coach/vehicle and on foot. We can manage individuals, clubs and associations, schools, universities and colleges, professional groups and incentives. Many of our team of guides are accredited to lead tours in other languages such as French, Italian, Spanish and Greek. All our tours are guided by professional London Blue Badge Tourist Guides, reassuring you that you are in the company of someone who knows what they are doing. Not only will we know the facts, but we can communicate in a professional, engaging way that is suited to your group. Blue Badge Tourist Guides have trained intensively for 2 years and passed the highest Tourist Guiding qualification in the UK. They are the best of the best. Blue Badge Tourist Guides, due to their unparalleled knowledge, are the only external guides permitted to guide the major sites – e.g. St Paul’s Cathedral, Westminster Abbey, Tower of London and Windsor Castle. Blue Badge Tourist Guides do not operate fixed itineraries or fixed commentaries – they are flexible and will tailor make the tour to suit the occasion. They manage group sizes from individuals all the way up to large incentive groups and conduct tours on coaches, on foot, in cars or even on public transport. Blue Badge Tourist Guides carry full public liability insurance. They are fully accountable through the respective Code of Conducts of the various professional associations, the Institute of Tourist Guiding as well as the Association of Professional Tourist Guides for London or the nationwide Guild of Registered Tourist Guides. 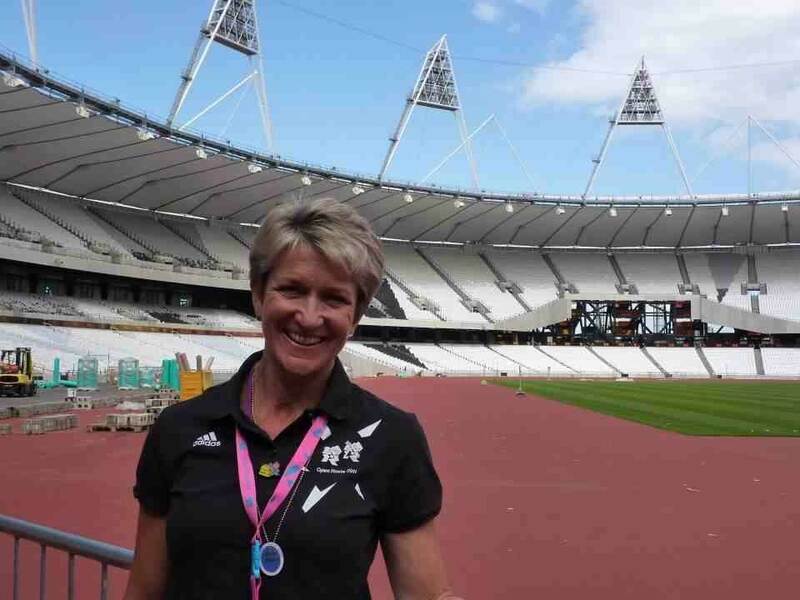 Pamela McHutchon, Blue Badge Tour Guide, runs Queen Elizabeth Olympic Park Guided Tours with a team of specialist professional guides. Pamela loves sports and guides regularly at the All England Lawn Tennis Club, Wimbledon, Twickenham Rugby Stadium and Queen Elizabeth Olympic Park. She is also keen walker, hiker and competitive rower. Pamela has a particular interest in urban regeneration and the exciting developments taking place in Stratford, King’s Cross, Canary Wharf, Nine Elms and Battersea. Let me and my team show you London, host to major sports events and an ever changing city.